Rutilated quartz is a form of clear quartz that is characterized by the presence of “needles” or strands of rutile within the structure of the quartz crystal. 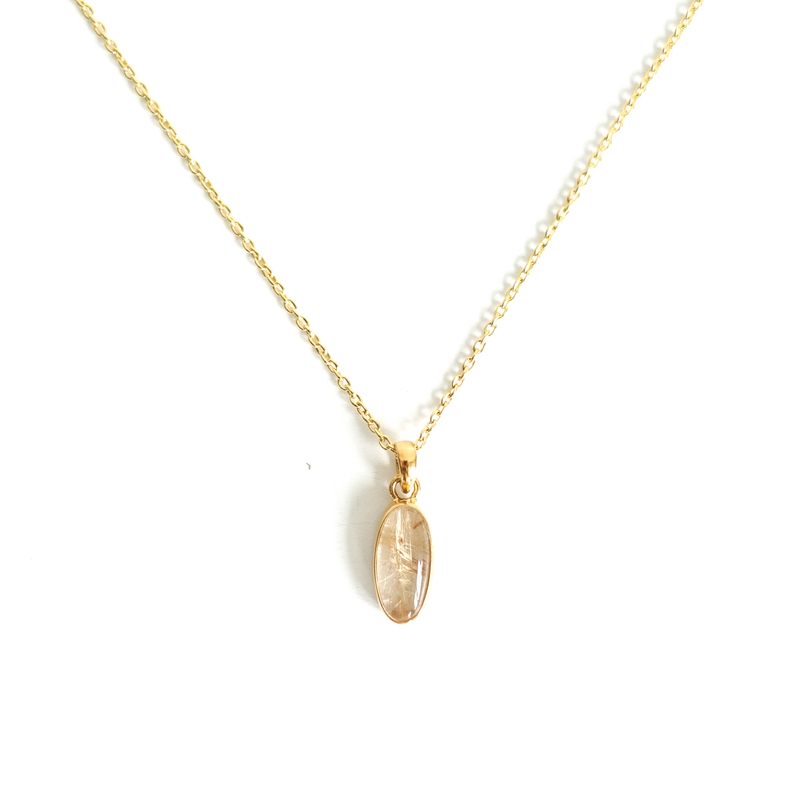 Gold rutilated quartz is an excellent stone to use if you need to change your direction in life. It soothes dark moods, offerring relief from fears, phobias and anxiety. The needle inclusions add intensity and transmission power to the crystal. The total length of the necklace is 48cm.